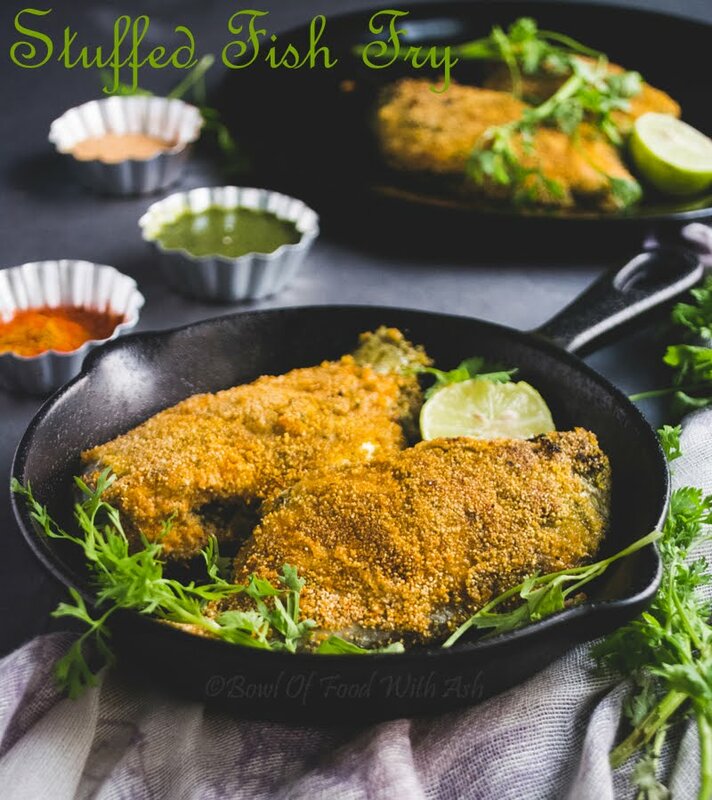 Rava Fish Fry is common in coastal area and we have it every other day. 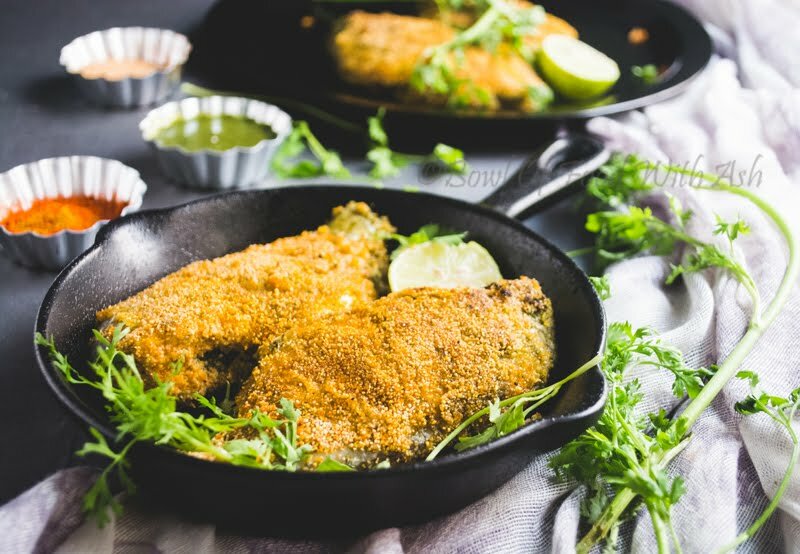 I have shared Rava Fish Fry already.But some time we do this stuffing with green chutney and then coat with rava and shallow fry.Flavours of chutney and crispiness with rava coating makes this fish fry very tasty. 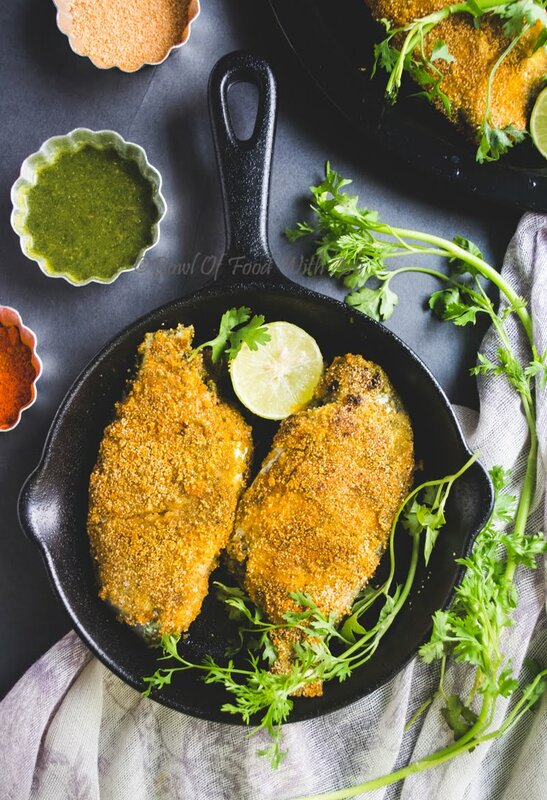 Click Here for Fish Recipes. 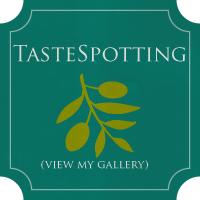 Check Out More Coastal Cuisines Here. 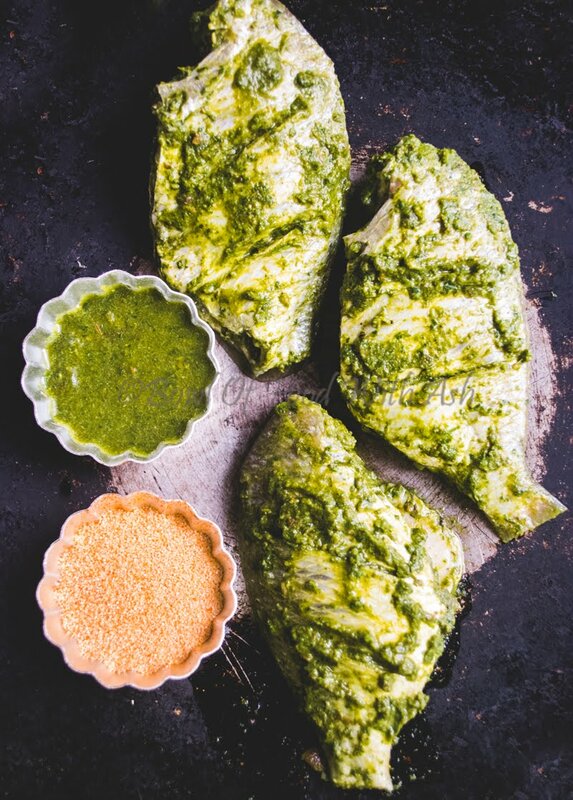 Fish is stuffed with Coriander-Mint Stuffing and then coated with Sooji/Rava and shallow fried. 1.Make a stuffing by grinding all ingredients under stuffing to a fine paste using no water or very less water. 2.After cleaning the fish, make slit on one side to fill the stuffing. 3.Make gashes on both sides of the fish. 4.Stuff the fish with this stuffing and rub generously on both sides as well. 5.Let it marinate for 20 to 30 minutes. 6.Heat oil in the wide pan. 7.Combine ingredients under Coating and mix well and keep in a large wide plate. 8.Coat both side of fish with this coating and shallow fry on medium flame for about 5 minutes both sides.